which is considered one of the largest museum, education and research complexes in the world. 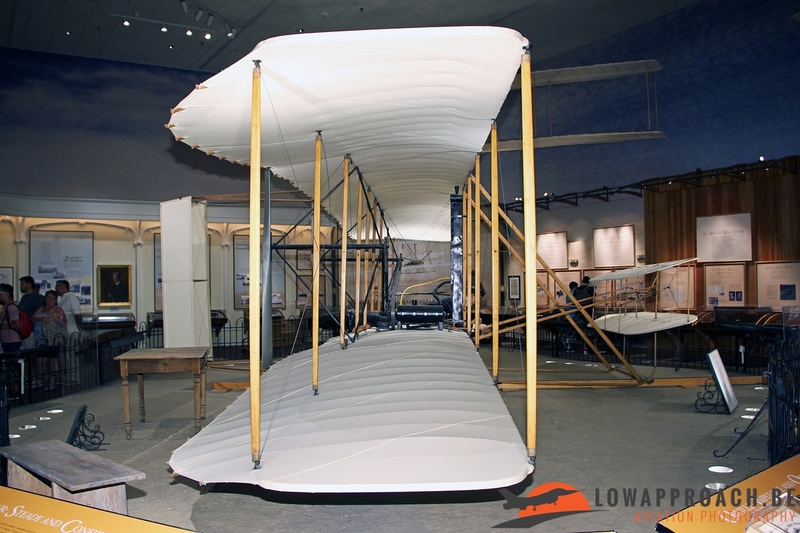 They not only cover aviation, but also a wide range of other topics like history, science and nature. The National Air and Space Museum is the oldest of two museums (it opened in 1976) covering the aviation aspect (together with the Smithsonian Steven F.Udvar Hazy Center that I will cover in a future article) and is located along Independence Avenue SW in downtown Washington DC, the capital of the United States of America. Along the same avenue you can also find many more museums like the National American Museum of the American Indian, the Smithsonian Museum of African Art and the United States Holocaust Memorial Museum to name a few. 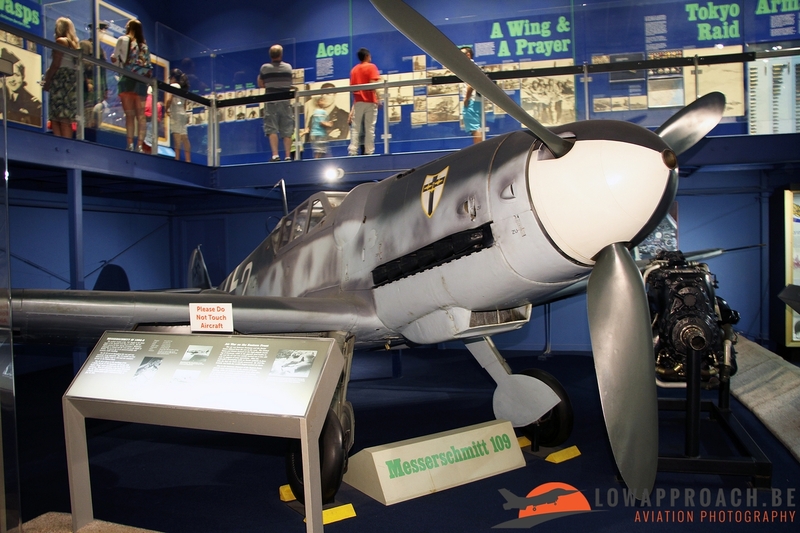 The museum is not so large (by American standards) and not a very large amount of aircraft are on display, but it's not the quantity that counts, but the quality. 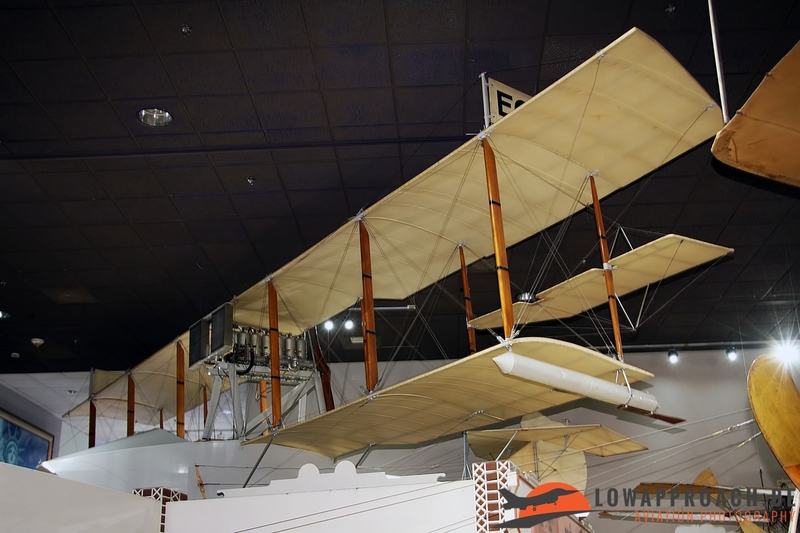 A lot of effort is spend on the educational role of the museum and the display are build around a number of clearly defined topics, making it an ideal place for a school visit. What must be the best known aircraft in the collection is the original Wright Flyer in which Orville and Wilbur Wright made the first manned flight in a heavier-than-air powered aircraft on December 17th, 1903. 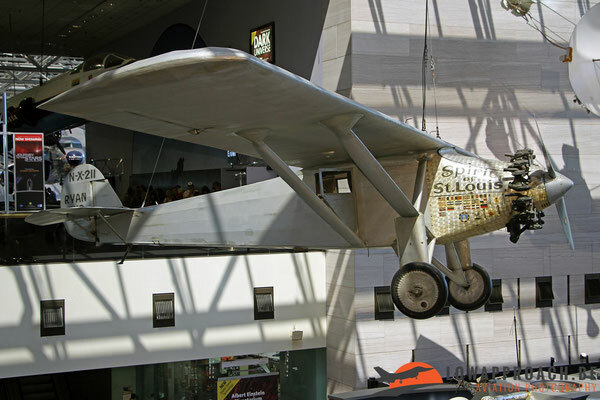 Another aircraft which is very well known beyond the aviation community is the Ryan NYP 'Spirit of St Louis' used by Charles Lindbergh for the first transatlantic crossing from the United States to Europe. In his plane, Ryan Lindbergh took off in the early morning of May 20th, 1927 for an epic flight which lasted 33 and a half hours before touching down at Le Bourget near Paris on May 21st. 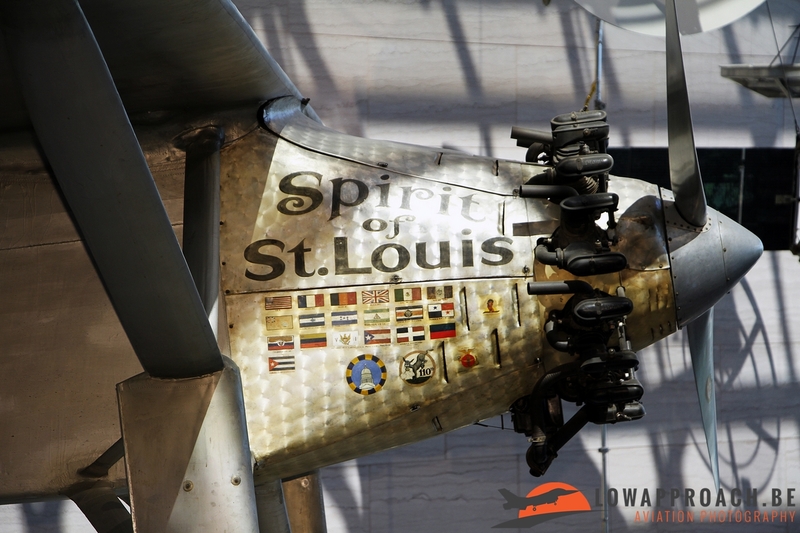 After he touched down in Le Bourget, Lindbergh visited only two other countries in Europe, being Belgium and the United Kingdom. 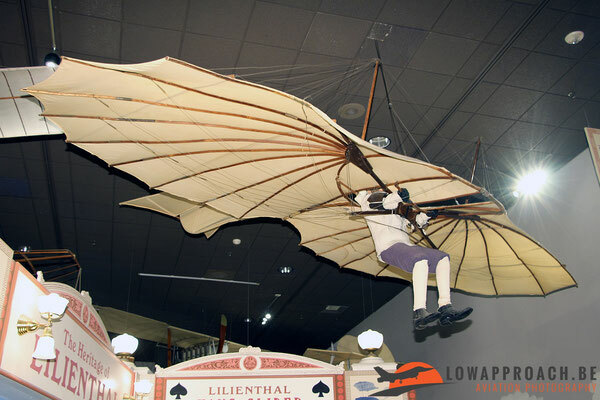 On May 28th Lindbergh took off from Le Bourget for a flight to Evere (near Brussels) where he was greeted by a large crowd and was received by the Belgian King Albert I. The next day he left Evere for London in the United Kingdom. 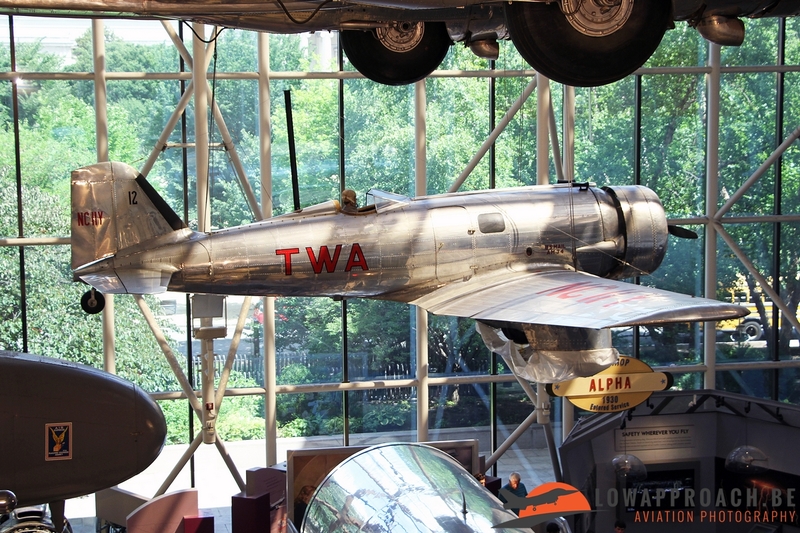 Another famous aircraft present at the Smithsonian is the Lockheed 5C Vega 'Winnie Mae' once flown by Wiley Post. In 1931 Post and his navigator Harold Gatty used it to fly around the world in eight days. 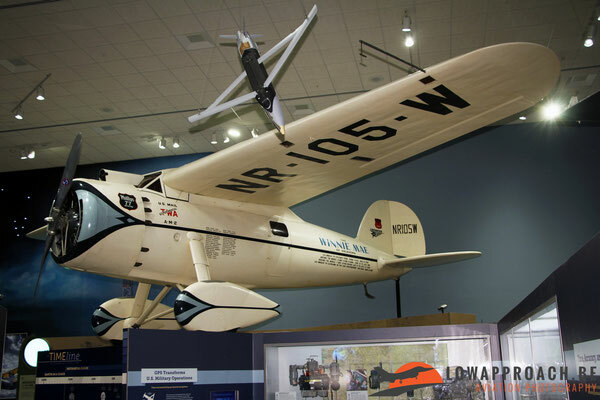 In 1933 Post repeated this flight, but this time solo, in seven days. This didn't end the career of the 'Winnie Mae' as in 1935 Wiley Post used it to fly into the stratosphere, reaching speeds up 547 kilometers (340 miles) while cruising in the jet stream. Other aircraft from early aviation are a Lilienthal Normal Segelapparat glider, a Wright Military Flyer once flown by the U.S.Army Air Service, a Blériot XI, a Curtiss Model D 'Headless Pusher' and an Ecker Flying Boat. 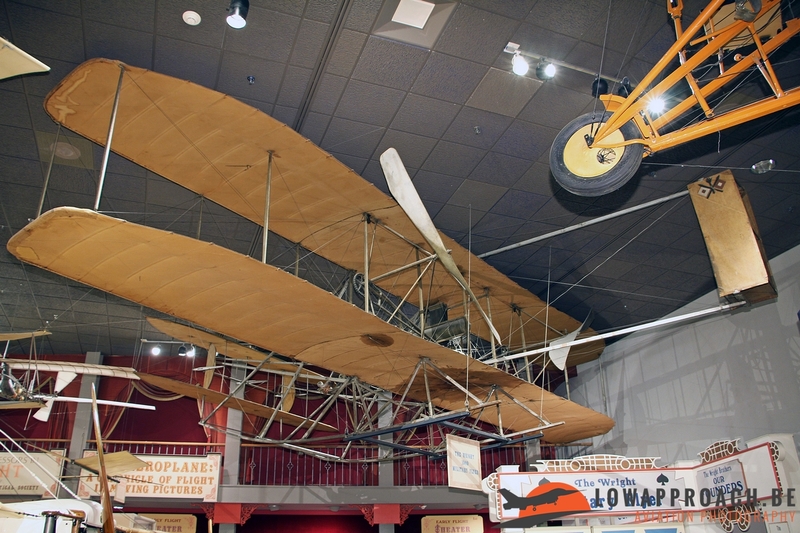 The first military conflict in which aviation played a role was the First World War and this is the next theme in the Smithsonian. 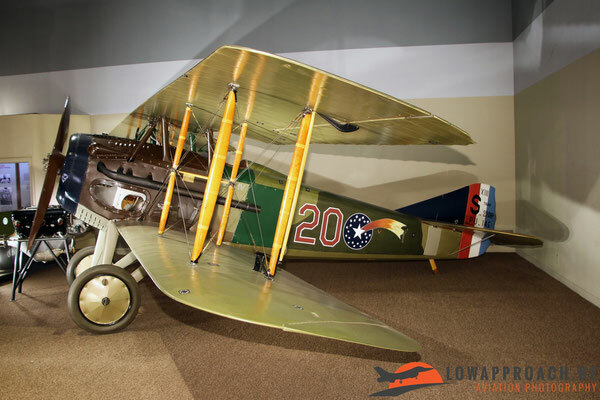 American pilots joined the battle while flying European build aircraft like the Spad XIII. 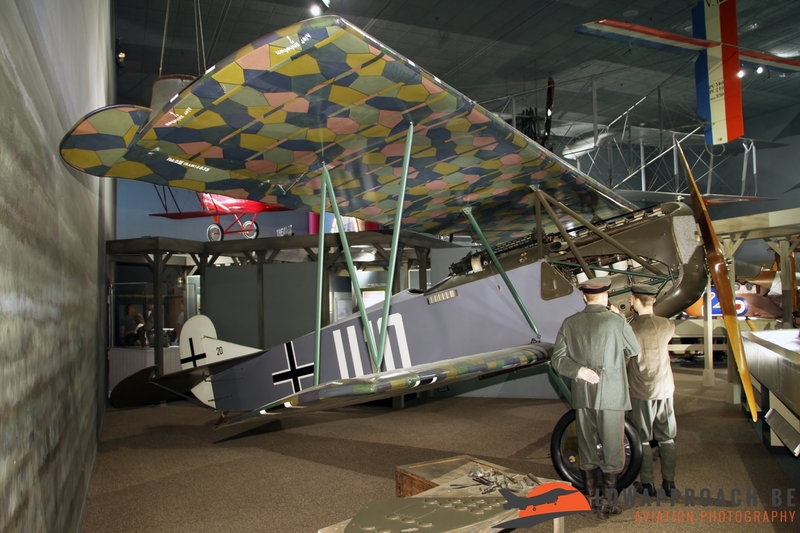 Other countries present in this exhibition are the British Royal Flying Corps with a Sopwith 7F1 Snipe and Germany with a trio of aircraft, an Albatross D.Va, a Fokker D.VII and a Pfalz D.XII. In those days the European aviation industry was a bit further than the US, and a Fokker T.2 (commercial name Fokker F.IV) was used by the U.S.Army Air Service for a first non-stop west-to-east crossing of the United States in 1923, which took them 26 hours and 50 minutes. 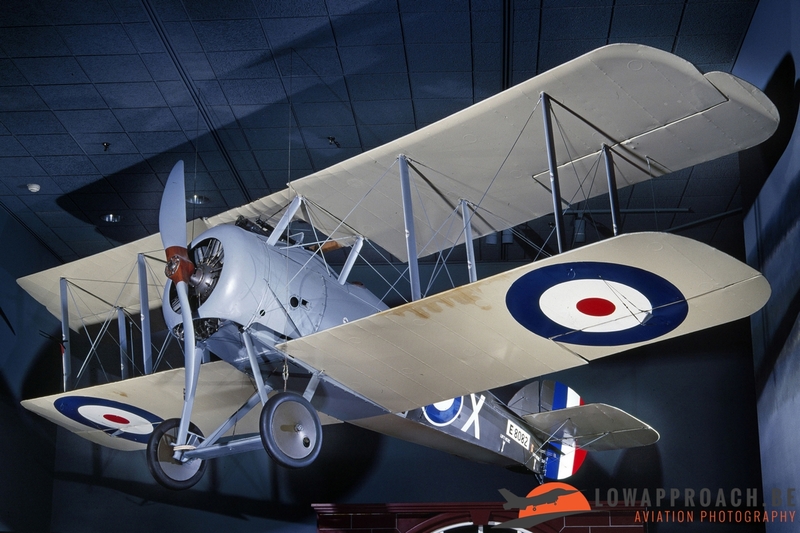 Another record aircraft in the collection is the Douglas World Cruiser 'Chicago'. 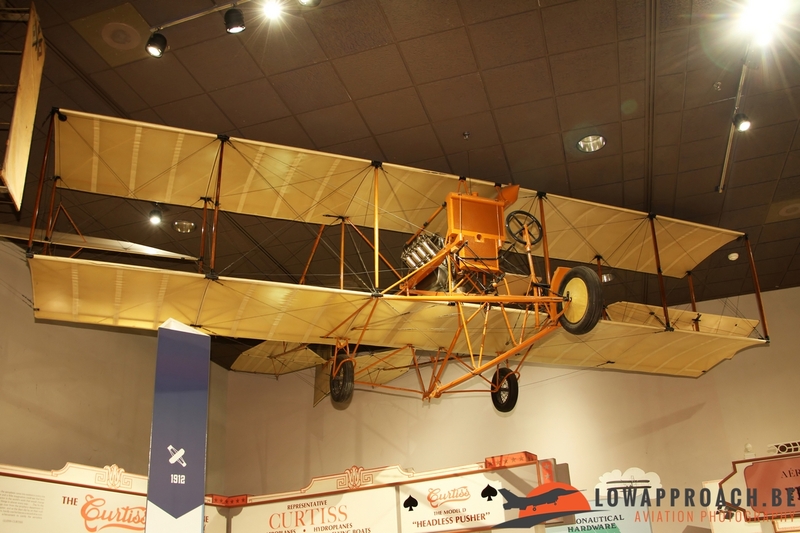 On April 6th, 1924 four U.S.Army Air Service Douglas World Cruisers started a trip to fly around the world in the shortest possible time. 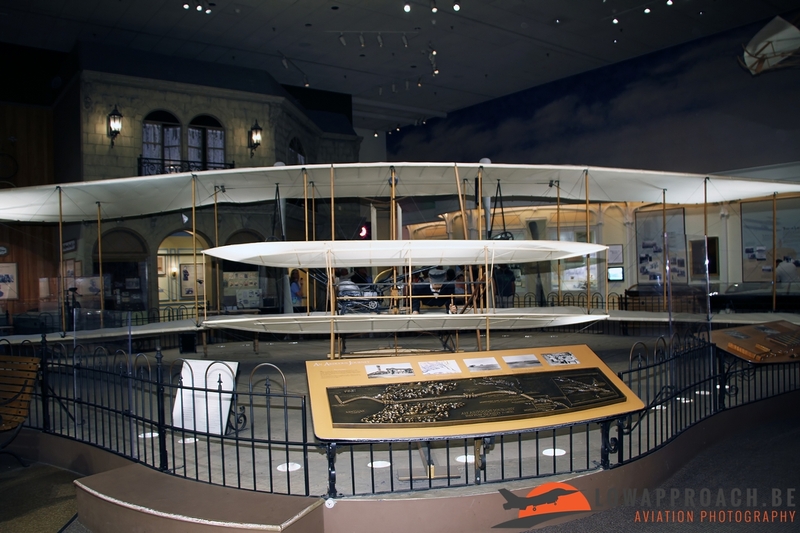 The four aircraft, named 'Chicago', 'Seattle', 'Boston' and 'New Orleans', were build specifically for this flight. Of the four only two, the 'New Orleans' and the 'Chicago', completed the trip on September 28th, 1924. In total the trip lasted for 175 flying days, with a total of 371 hours and 11 minutes of flying time. 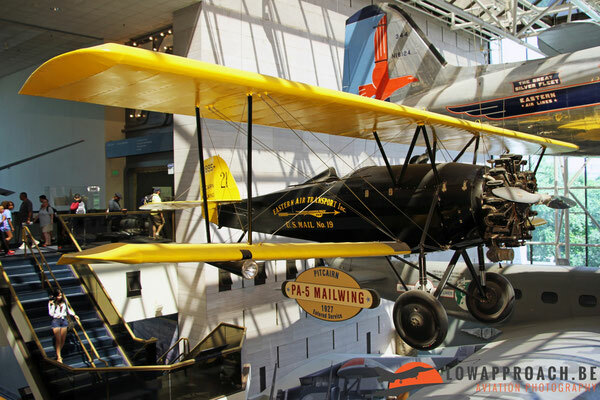 This type of flights cleared the way for long haul cargo and passenger transport by air and soon aircraft were put to use for the transport of mail and other cargo, like the Pitcairn PA5 Mailwing and the Fairchild FC-2. 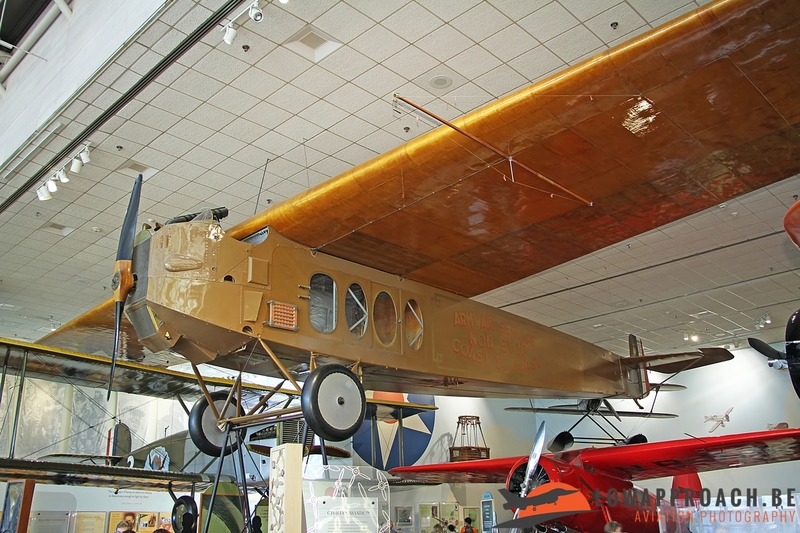 In 1928 the Ford 5-AT Tri-Motor, or 'Tin Goose' entered service on a considerable number of scheduled destinations, the example at the museum was used by American Airlines. In 1930 the first Northrop 4A Alpha entered service and was used by TWA - Trans World Airlines in the role of passenger transport. In total 6 passengers were seated in snug cabin, but the pilot still remained in an open cockpit exposed to the elements. 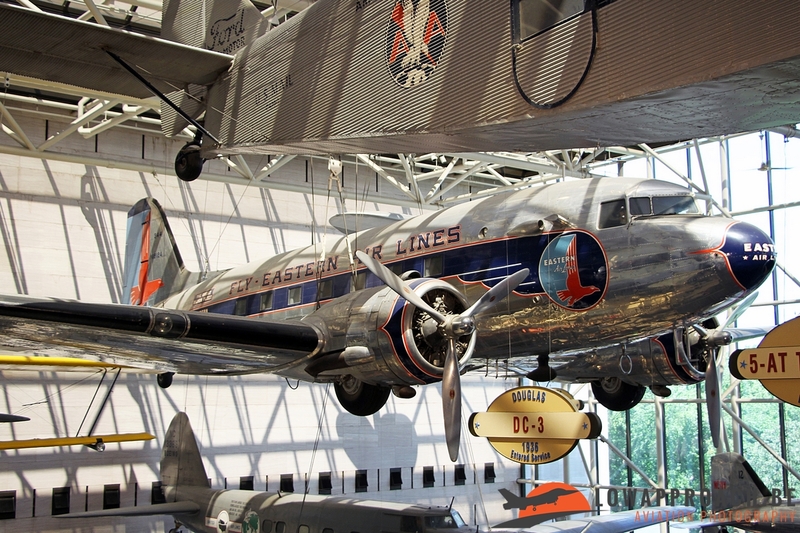 The Boeing 247D is considered the first modern airliner. It entered service with United Airlines in 1933 and its innovative design inspired other aircraft designers like Douglas with the later DC2. 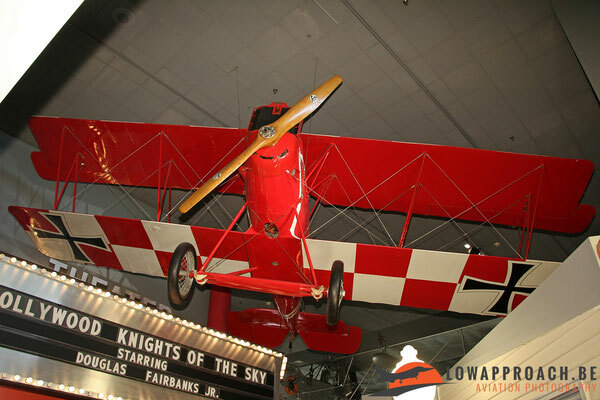 The 247D on display participated in the MacRobertson Air Race between England and Australia in 1934, that was won by Douglas DC2 'Uiver' PH-AJU entered in the race by KLM. 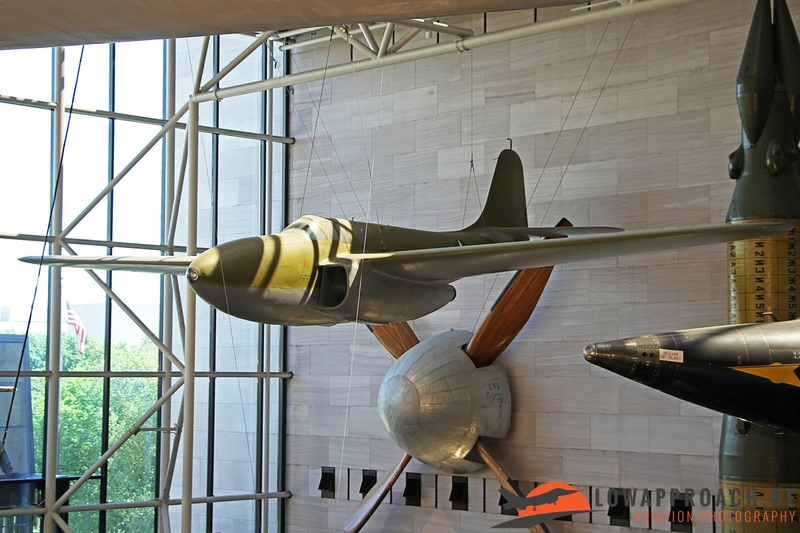 There is no DC2 on display in the Smithsonian, but the aircraft developed from the DC2, the DC3 is present. 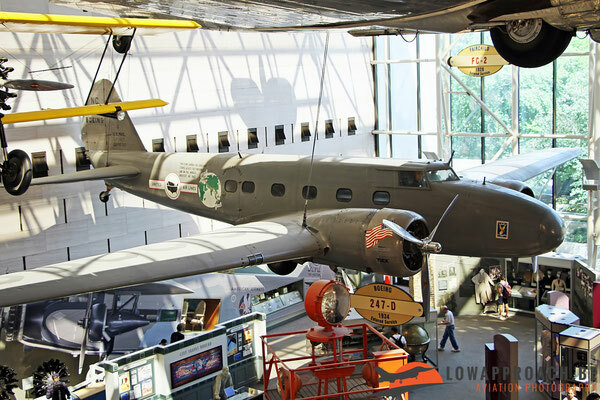 The Douglas DC3, and its military variant the C47, was build in more than 13000 examples and many of them are still airworthy and some even used to transport cargo and people on a daily basis. Most modern airliner in the museum is a Boeing 747-151. 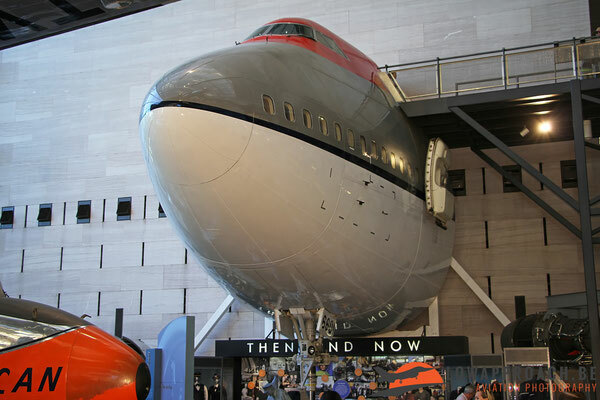 Well part of it, only the front section of this Northwest Airlines 747 is present, but it gives a good idea on how airliners have evolved in size over the decades. The World War Two period is well covered in the Smithsonian. 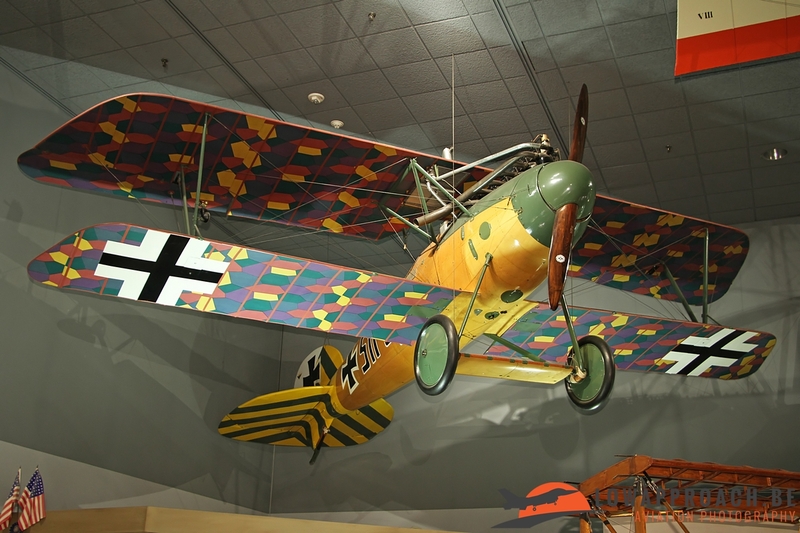 Starting point is the conflict in Europe were aircraft of all major European players in the conflict are on display. These being a British Supermarine Spitfire VII, a German Messerschmitt Bf109G and an Italian Macchi MC202 Folgore. 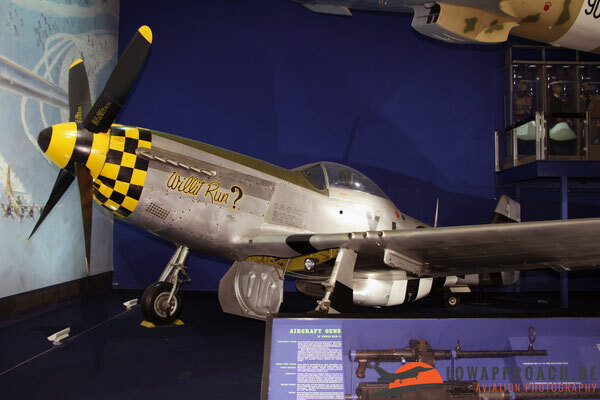 The United States who joined the conflict after the Japanese attack on Pearl Harbor in 1941 are represented by a North American P51D Mustang. 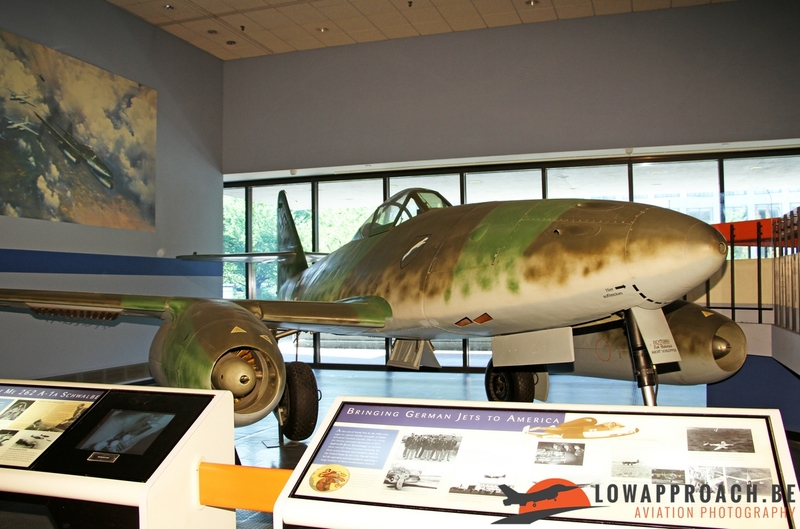 Germany also designed one of the first jet-powered aircraft in this period, the Messerschmitt Me262E-1a 'Schwalbe'. 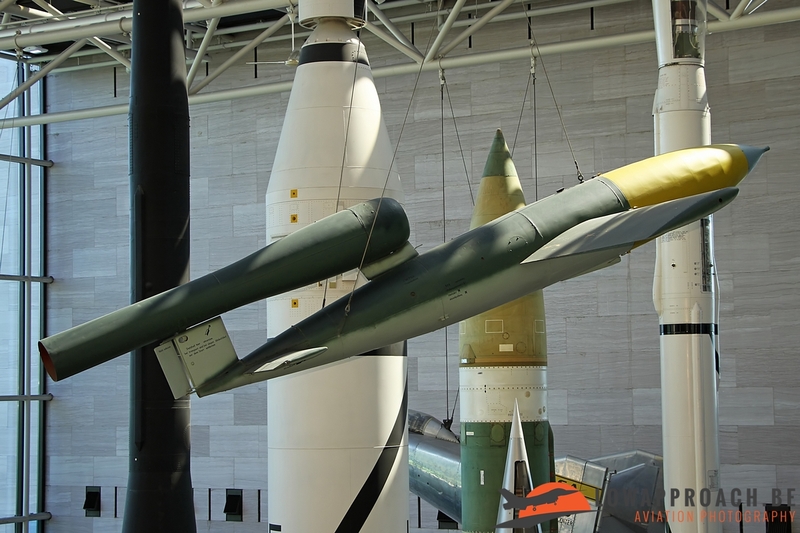 In later years Germany threw more new weapons in the battle like the V1 and V2 (Vergeltungswaffe 1 and 2), original examples of both are also present in the Smithsonian. 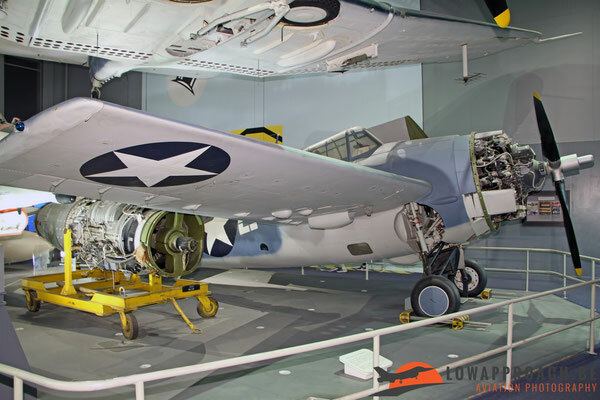 The already mentioned attack on Pearl Harbor is also covered in the museum. 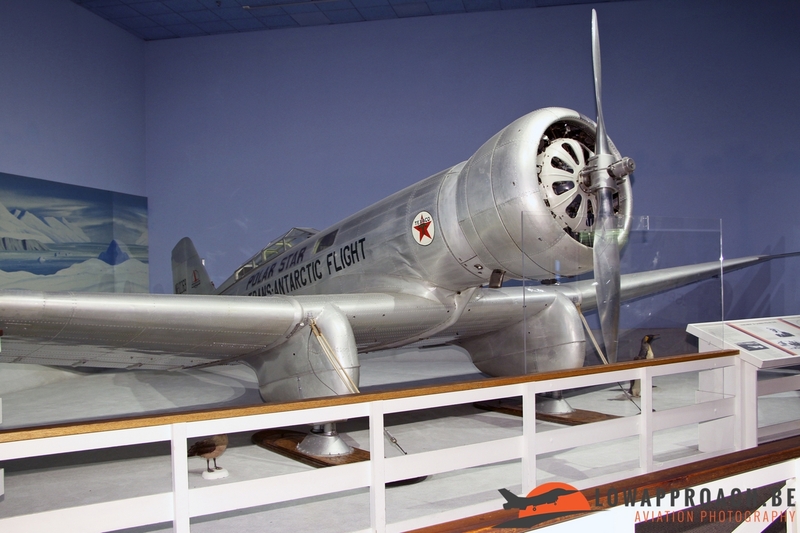 Present is a Mitsubishi A6M5 Reisen (Zero) from the Japanese Imperial Navy. 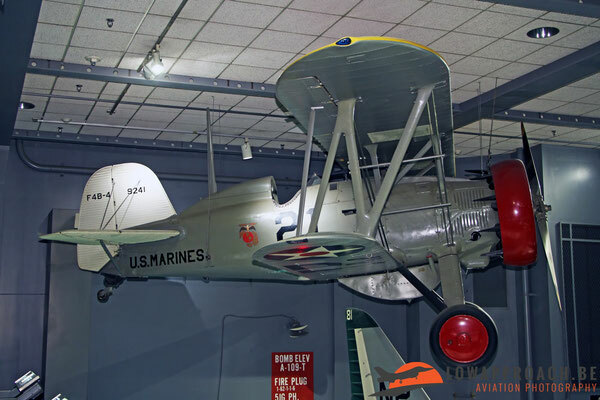 In those days the US Navy and Marines were still equipped with some outdated fighters from the 1930 like the Boeing F4B-4. 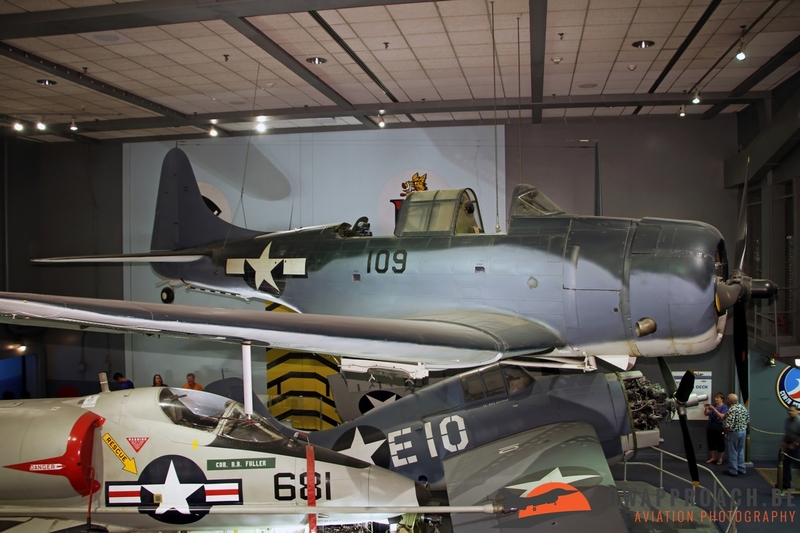 The start of the war of the Pacific kicked off the build-up of a large carrier based force equipped with more modern aircraft like the Grumman F4F-4 Wildcat and the Douglas SBD6 Dauntless, this aircraft was nicknamed 'Slow But Deadly' by its pilots, and had a major contribution in the conflict. In 1942 SBDs were responsible for the almost single-handedly sinking of six Japanese aircraft carriers. Not only Germany was developing jet fighters, also the U.S.Army Air Force was active in this field. The Bell XP59A Airacomet, 42-108784, was the first American fighter jet and made its first flight on October 1st, 1942. The aircraft never entered operational service as the available resources were used on more conventional aircraft. However when the United States discovered that Germany was developing operational jet aircraft, Lockheed was asked to start build one as well. Clarence "Kelly" Johnson and his team began to work on a prototype, the Lockheed XP80 'Lulu Belle', that was developed into the Lockheed P80 (later F80). 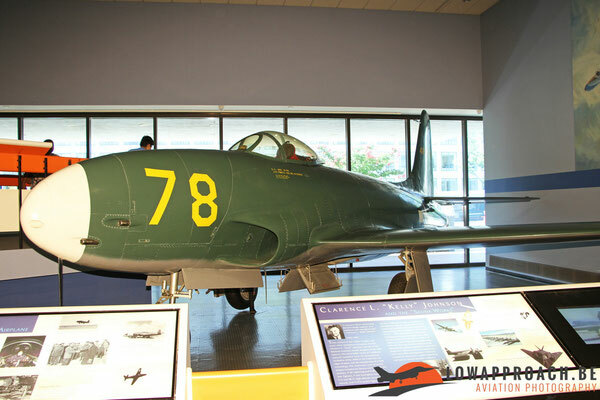 A trainer version of the P80 was the T33A T-Bird, which became the standard jet trainer in many air forces in the decades that followed. 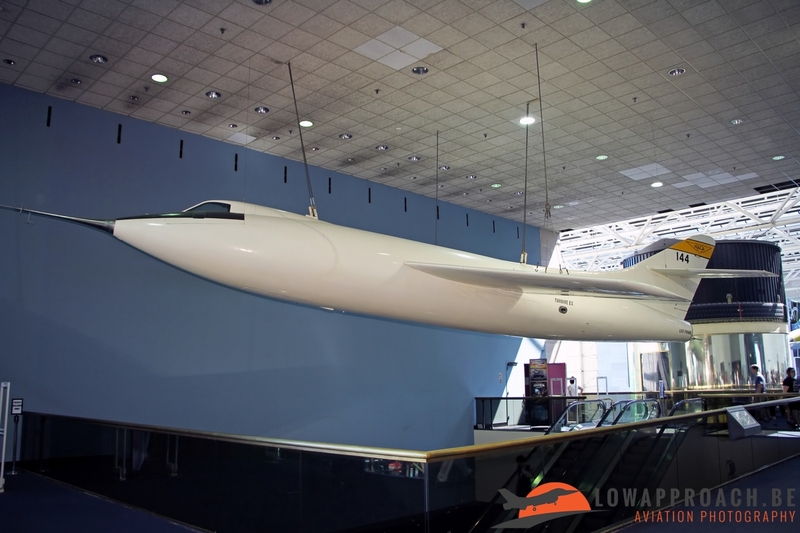 After the war the development of jet and rocket aircraft continued, as one speed record still remained to be broken, Mach 1, the speed of sound. 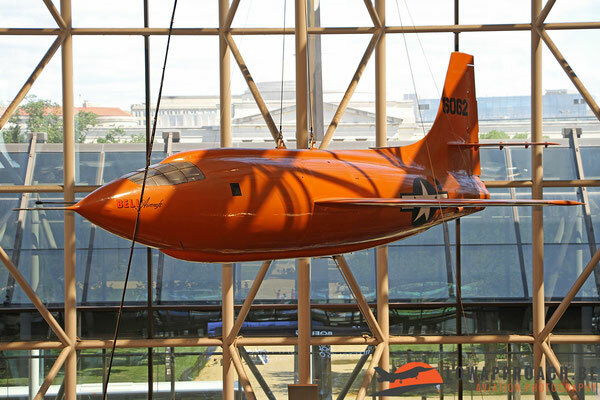 The first aircraft who managed to break the sound barrier in level flight on October 14th, 1947 was the Bell X1 'Glamorous Glennis', flown by Captain Charles 'Chuck' Yeager. The X-1 was dropped by a modified Boeing B29 Superfortress, after which the rocket engine was ignited for the record flight, the X-1 then landed as a glider. In those days there was a healthy competition between the U.S. Air Force and the U.S. Navy, who was also involved in this type of research. The Douglas D558-2 Skyrocket, build for the U.S. Navy, but mainly flown by NACA (the predecessor of NASA), became the first aircraft to hit Mach 2, twice the speed of sound, while flown by Scott Crossfield on November 20th, 1953. In 1955 Crossfield left NACA and joined North American as a test-pilot. 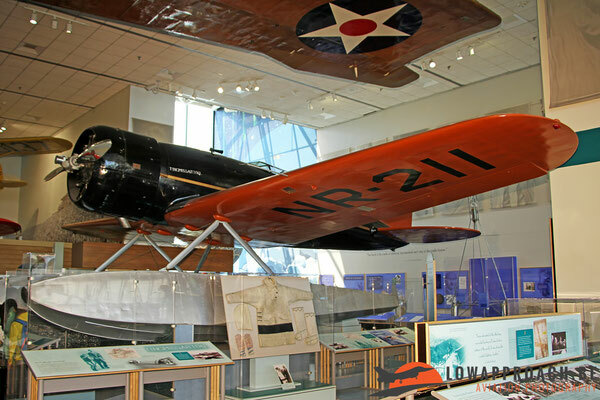 In this function he made the first (unpowered) flight of the North American X15A in 1959. 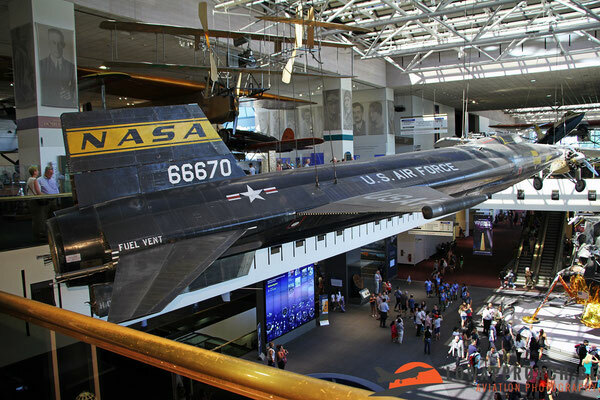 Between 1959 and 1968 the X-15 beat several speed records, the highest being the one on October 3rd, 1967 when it reached 7274 km/h (Mach 5.93) in the hands of William J. 'Pete Knight. All the date gathered on these record flights were used in the development of the first supersonic operational jet fighters. One of the best known is the F104 Starfighter, again designed by Clarence 'Kelly' Johnson and his team at Lockheed. 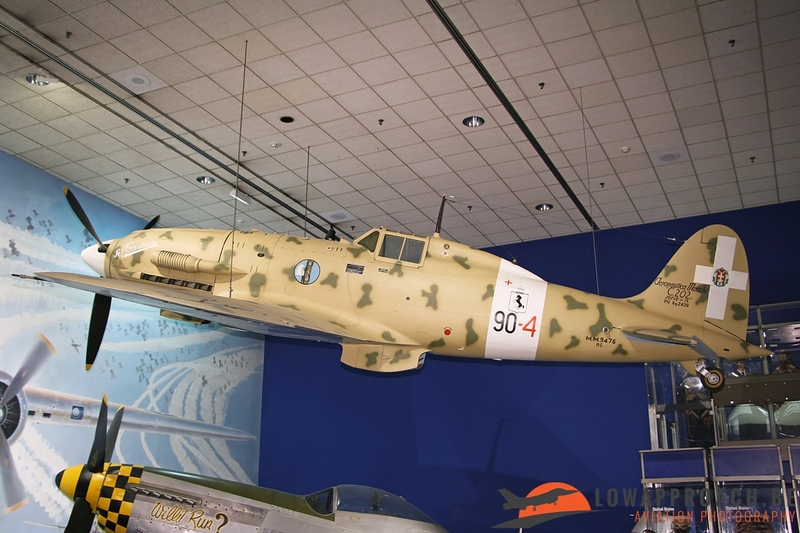 The museum has one of the pre-series aircraft, a YF104A, on display. It still bearing the colors of its last user, NASA. Another classic on display is a Douglas A4C Skyhawk from the U.S. Navy, it was widely used during the Vietnam conflict and is still in use in some air forces around the world. 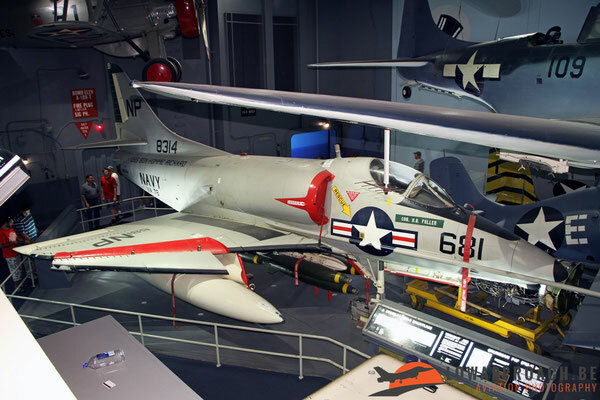 One has to note that all the naval aircraft are displayed in a recreation of a carrier aircraft hangar, which give a nice idea on the cramped conditions on these ships. 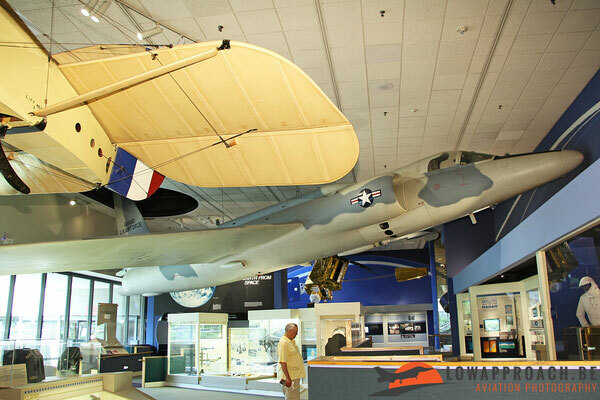 Last aircraft in this section is a Lockheed U2C, again a 'Kelly' Johnson design. This aircraft became world-famous when one was shot down over Russia in 1960 and when it discovered the construction of Russian missile sites on Cuba in 1962. Modernized versions of the U2 are still in service on this date. The final section in this article I want to spend on the topic of space exploration. 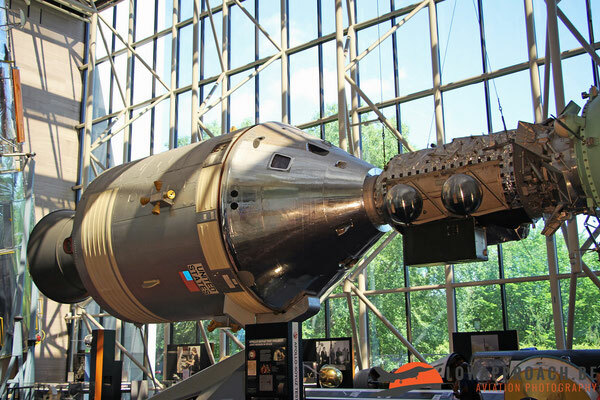 Together with the Soviet Union (now Russia) the United States have always been the major contributors to space exploration. 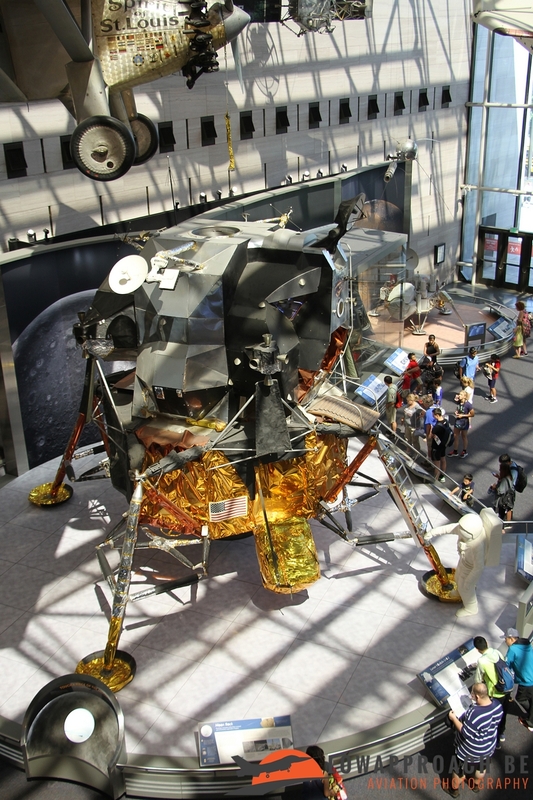 In 1969 Apollo 11 transported the first two men to the moon and an Apollo Lunar Module (LM-2) is on display in the entrance hall of the Smithsonian museum. 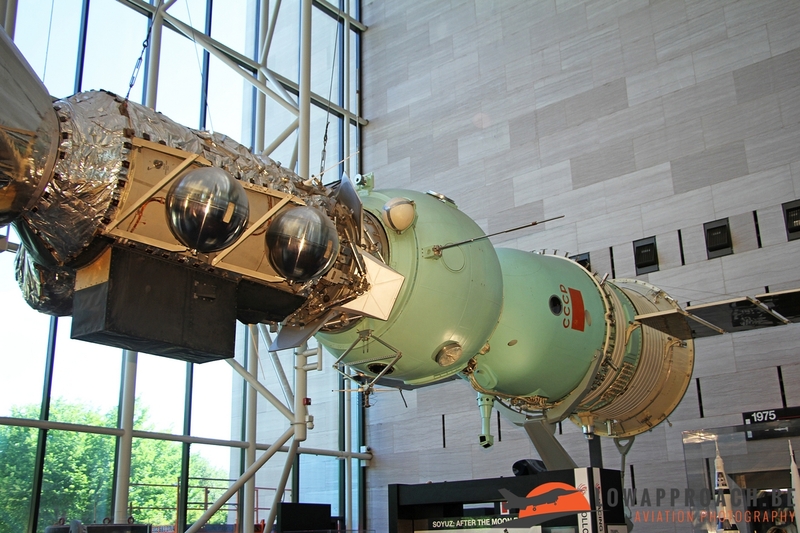 In the mid-seventies the USA and the Soviet Union set up a collaboration which resulted in the Apollo-Soyuz Test Project. 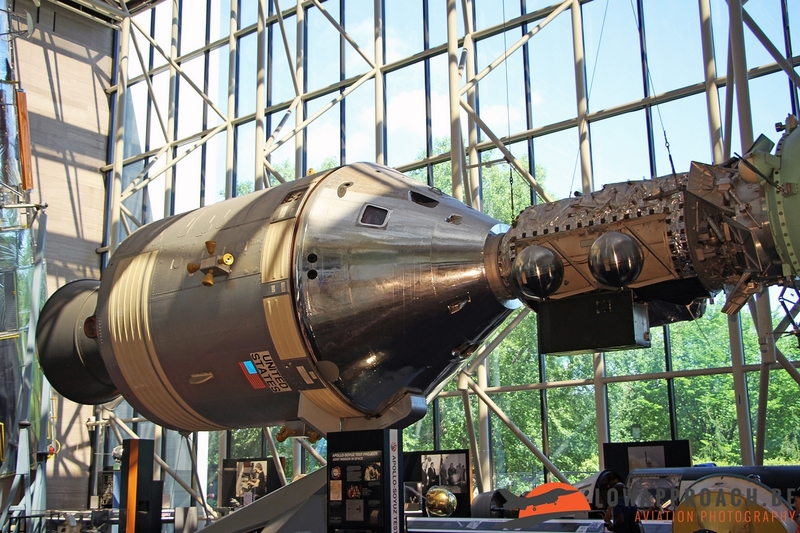 In 1975 an Apollo Command Module docked with Soyuz 19 and this combination circled around the earth for almost 48 hours. This was a joint project that later evolved in the current International Space Station. 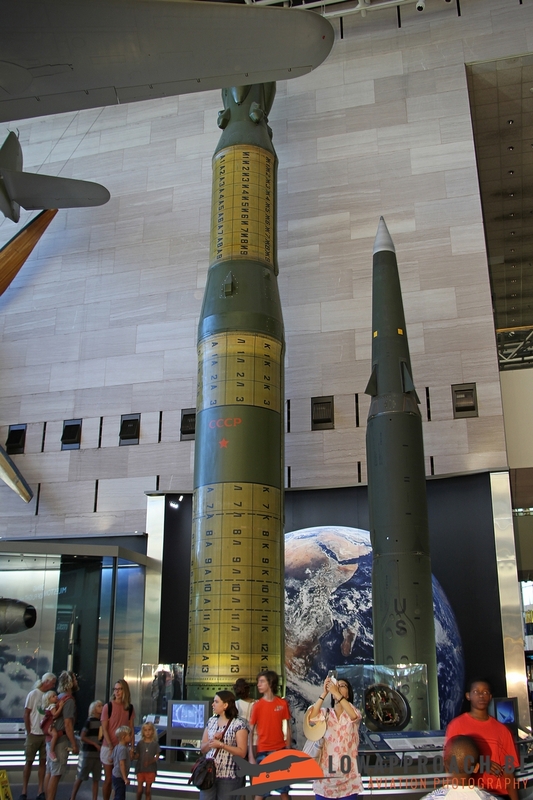 The museum also has a collection of missiles, but one missile was a bit of a surprise find for myself, an RSD-10 Pioneer (NATO reporting name SS-20 Saber) intermediate-range nuclear missile. It was donated to the museum by the Ministry of Defense of the Soviet Union. 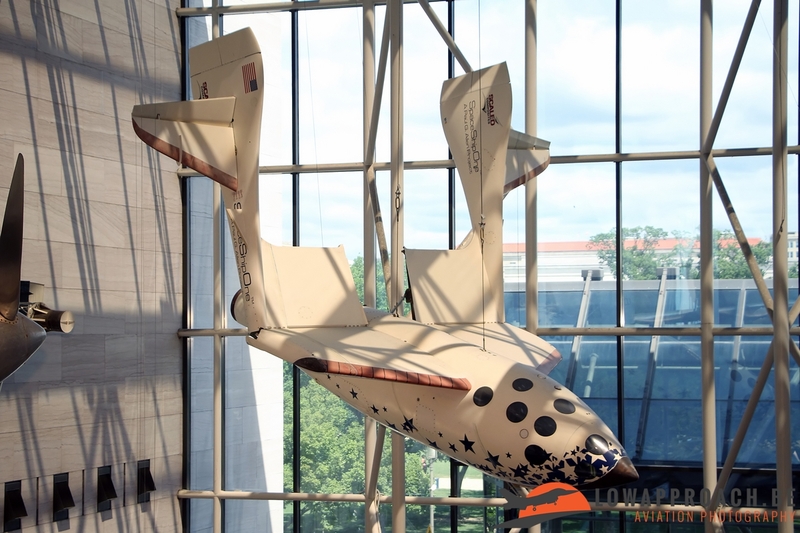 After the Apollo program NASA started research on re-usable spacecraft. 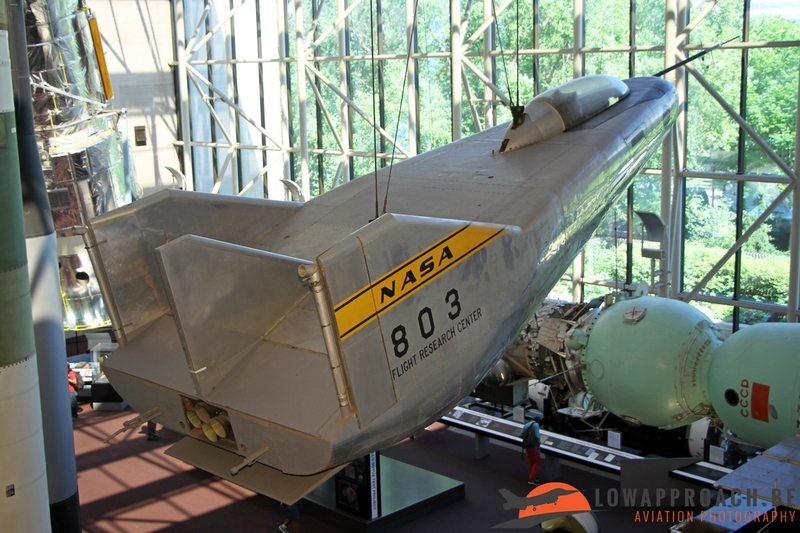 One of the devices in this research was the Northrop M2-F3 that was used to study the re-entry of gliding aircraft into earth's atmosphere, a technique later used by the Space Shuttle. The last few years also commercial companies are investigating the potentials of space travel. One such company was Mojave Aerospace Ventures who designed the 'Space Ship One'. It made a handful of flight in 2003 and 2004, but since then many more companies got involved in this type of activities. 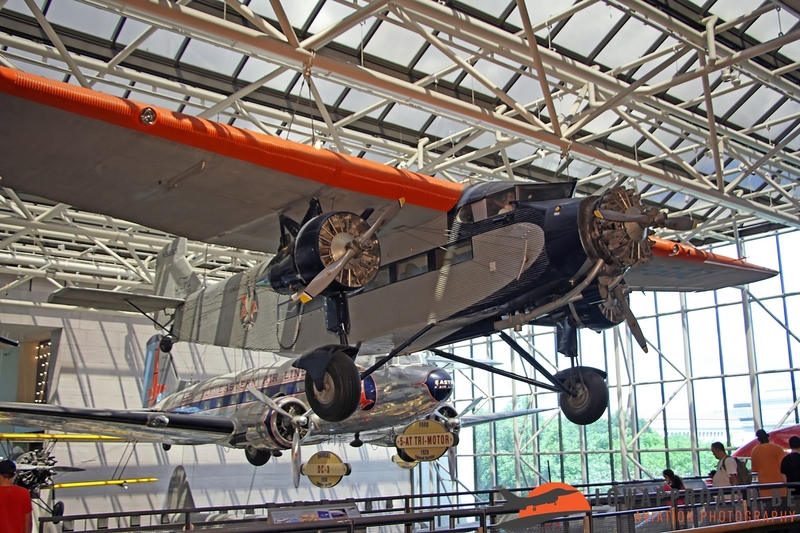 The Smithsonian National Air and Space Museum is a must-see when you are in the area. It gives a very nice overview on the history of flight and space exploration. 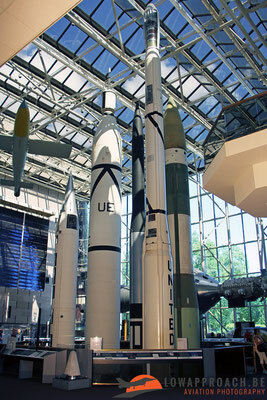 It is located very close to the Washington DC landmarks and various other museums. Getting there is easy by car, only problem is finding a parking spot, which was in my case a bit of a challenge. Entry to the museum is free of charge. Photography is allowed, but it's not allowed to use a tri- or monopod. In some of the display areas photography is difficult as they are very cramped and dark, I still haven't figured out how they managed to squeeze in some the exhibited aircraft. When you visit the museum one thing is certain, it will be crowded, the Smithsonian is one of the most popular spots in Washington DC and in 2016 they had 7.5 million visitors, making it the second most visited museum in the world! 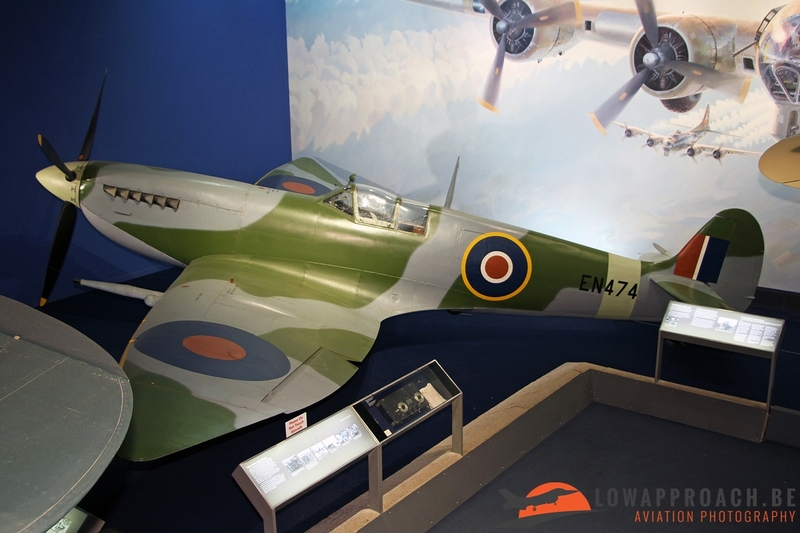 I visited the museum in the summer of 2017 and since then it was announced that the museum will undergo a complete refurbishment, but it will remain open to the public. 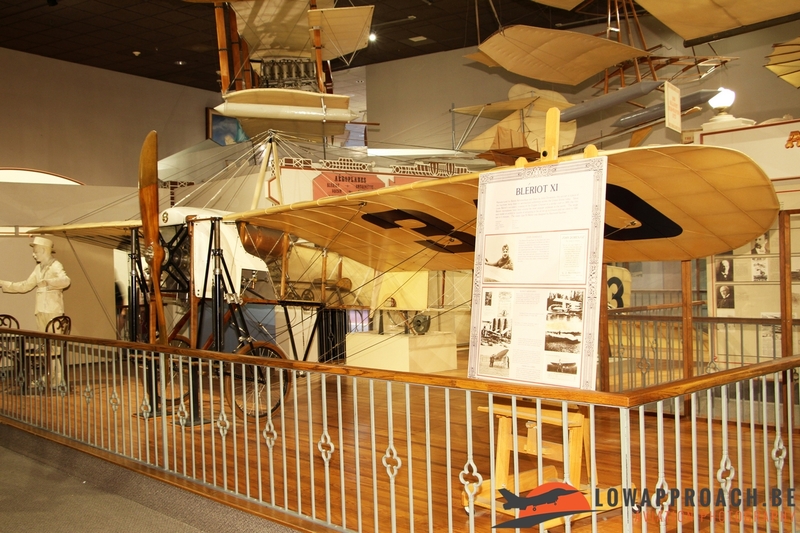 So hopefully I can go back in a few years to visit a completely refreshed museum with some new aircraft on display.